NEW YORK, NY--(Marketwired - Dec 1, 2015) - PVBLIC Foundation today announced it has ranked its Top 10 Media for Social Impact Leaders, highlighting outstanding contributors to the mission of Media for Social Impact (#MFSI). Co-convened by the United Nations Office of Partnerships and PVBLIC Foundation, the Media for Social Impact Summit brings together delegates of leading media companies, advertising firms, and creative agencies with UN experts to highlight the power of media in driving social change. The #MFSI2015 summit was held at the United Nations in New York City this past May, bringing together over 350 leading media executives and senior UN representatives for a day of hands-on strategizing and creative development for the recently adopted Sustainable Development Goals (SDG). During and after the summit attendees from a wide range of media companies made commitments, contributing to the integration of the SDGs through Media for Social Impact. Amina J. Mohammed, Special Adviser of the Secretary-General on Post-2015 Development Planning shared in an open letter to all attendees of the summit, "2015 is a Time for Global Action. This year we have a historic opportunity and collective responsibility to make decisions and commit to actions that will set the world on a course to irreversibly end poverty, ensure shared prosperity and avoid the worst impacts of climate change by 2030." Through the Media for Social Impact leadership and convening power of PVBLIC, media companies and organizations are now partnering up in support of the United Nations Sustainable Development Goals utilizing media to create awareness and calls to action. Will Kennedy, Senior Program Officer of the United Nations Office of Partnerships commended the MFSI leaders stating, "Your commitment in support of the Sustainable Development Goals represents a significant contribution to communicating this ambitious global agenda on behalf of humanity and the planet, and, in turn, will bring the international community closer to realizing this transformational vision." The Chairman of PVBLIC, Sergio Fernández de Córdova announced today, "We are pleased to reveal our top ten picks for 2015's Media for Social Impact Leaders based on their outstanding contributions as influential media and communications executives, utilizing the power of media to drive social change." The #MFSI Top10 highlights the important work these 10 individuals do through their companies and agencies. All those honored were attendees selected from PVBLIC's #MFSI2015 summit and since then have implemented resources and or launched campaigns to promote the SDGs globally. The ranking system to identify the Top 10 MFSI Leaders was based on 2015 key SDG initiatives and strategic weighting of execution, influence, and contribution. 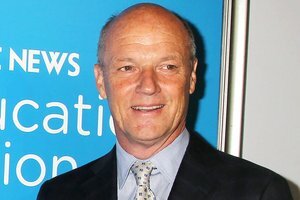 At #1, Phil Griffin and MSNBC have shown dedication to using Media for Social Impact over time more than any other individual or company on this list. As the official media partner of the Global Citizen Festival, MSNBC is committed to connecting audiences with the stories and values that bring purpose and action to the global community. Through this partnership with the Global Citizen Festival, they are devoted to elevating the stories of individuals, corporations, and organizations that are working to eradicate extreme poverty by 2030. At #2, Pete Cashmore, the founder of Mashable, the world's #1 blog, embodies the DNA of Media for Social Impact, using his platform to create impact through technology and new media on social good initiatives around the world. 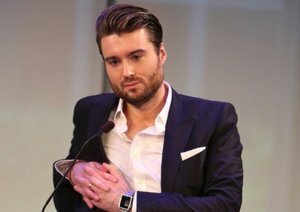 As the official media partner for the Social Good Summit, Pete Cashmore, in partnership with 92Y, UN Foundation and UNDP, unites a dynamic community of global leaders and grassroots activists to discuss solutions for the greatest challenges of our time, such as, the Sustainable Development Goals. Cashmore's vision has influenced global content creators who will continue to be a vital source of information sharing for social impact. At #3, Matthew Bird is recognized for his exceptional media and communication advisory work with numerous UN departments in support of the SDGs. Since the Media for Social Impact Summit, Matthew Bird has been arguably the most influential communications leader. He quickly became a key strategic media and public relations advisor, in 2015 YTD Matthew Bird and his firm 1800pr have delivered some of the most successful executions in the history of the United Nations. Amongst other initiatives, 1800pr supported the Sustainable Stock Exchange (SSE) event (s), a dozen heads-of-state, UN Secretary Generals, and Foreign Presidents, delivering flawless brand integration and execution for United Nations UNCTAD. At #4, Jakob Trollbäck is the creative genius behind all of the Sustainable Development Goals logos, and also the founder and creative director of Trollbäck + Company. His dedication to facilitate communication about the goals makes him a champion of MFSI. Personally, Jakob Trollbäck is committed to creating visuals that tell powerful stories, inspiring and educating people to understand and take action regarding social issues. Jakob Trollbäck developed a comprehensive identity for the SDGs. The UN has now officially adopted the SDGs and is using Trollbäck's logos to communicate them around the world. At #5, Jason Harris comes in with a strong understanding of Media for Social Impact, having executed the most successful White House campaign in United States history; #ItsOnUs. This project changed the DNA of his company, Mekanism, an award-winning full service creative agency. On the heels of this campaign, Jason Harris decided to become the creative leader behind The Most Important Campaign (MIC), a 15-year global communications strategy focused on creating a unified platform for the SDGs to reach, engage, and compel global citizens to take action. #6. Harrison Shih -- President of Frankly, Inc.
At #6, Harrison Shih is bringing a new twist of adding technologies and tools to amplify the use of Media for Social Impact. Thru his company Frankly, Harrison Shih is developing applications that educate audiences about topics related to sustainable development and provide a platform for peers and organizations to connect in real time via mobile messaging. Frankly and Harrison Shih personally have committed various resources, as partners to The Most Important Campaign by building mobile apps to provide information, educate, and engage users in conversations and action regarding the Sustainable Development Goals. At #7, is Natalia Vega-Berry, who brings a unique blend of creative design with a purpose driven call to action platform, being developed through her agency The Global Brain. Currently, Vega-Berry is directing a new initiative in support of the SDGs called the People and Planet Project (P+PP) platform, mobilizing large-scale campaigns that collectively support the SDGs and providing users with content, tools, and calls to action to integrate sustainable, socially responsible decisions into their everyday lives -- much of which was inspired and launched after attending the 2014 MFSI Summit. #8. Ismael Cala -- Anchor, Producer CNN Latino & Founder Cala Foundation, Cala Enterprises. 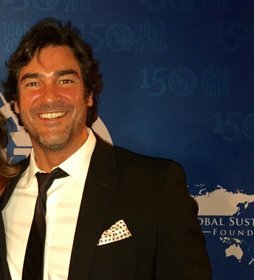 At #8, is Ismael Cala, a visionary executive and a face in the media world exemplifying Media for Social Impact, using his media and influence daily. Ismael Cala, after attending and becoming inspired by #MFSI2015 decided we needed to create something bigger than any one of us, a summit that unites and harnesses the influence of Latinos in the Americas. In partnership with PVBLIC, Cala will co-host the Latino Impact Summit, which will be held at the United Nations in March 2016. Ismael founded the Cala Foundation, which creates strategic alliances with other foundations and academic institutions to foster leadership and vocational guidance for children and young people from Latin America. Ismael Cala also uses his influential position in the media to communicate stories of impact and promote sustainable development. At #9, is Anna Griggs for her leadership vision as an entrepreneur, implementing the SDGs into her work as the President of Kinetic's Junior Board, the global leader in audience-based out of home media. Within her role, Anna Griggs has implemented Kinetic Future, a new division dedicated to sustainability. The Kinetic Future team has taken action to implement green sustainability protocol, lead community outreach projects, foster a positive office culture, and develop up-and-coming professional talent. Since the summit, Anna Griggs has also been involved in the steering committee for the Most Important Campaign. At #10, Stephen Keppel, is a rising star, not only for developing strategic partnerships within various UN agencies and putting Univision on the forefront of the SDGs, but also for co-convening the launch of the first Impacto Latino Summit, #ImpactoLatino2015 -- at the United Nations during the General Assembly week. The summit brought together key influencers from the U.S. and Latin American media to engage in a dialogue on how media can be used for impact in the region. As Vice President of Empowerment Initiatives, Stephen Keppel develops the News Division's social impact content, creating multimedia campaigns in the areas of entrepreneurship, health, and the environment. The Media for Social Impact Summit is an exclusive nomination-only event hosted by the United Nations office of Partnership and PVBLIC Foundation. The summit unites representatives of leading media companies with UN experts to highlight the power of media to drive social change and strategize campaigns around global issues. The summit showcases innovative campaigns through keynotes, interviews, case studies and roundtables. The program provides a unique opportunity for delegates to network and learn from the brightest minds in media and build lasting partnerships that further social progress.